Casoro’s jewelry safes embody the values of the company owners – Customer First, Excellence and Innovation. 100% customer satisfaction is our goal. As a result we must offer a full range of burglar and fire resistive safes that are fully customizable, include world-class aesthetics and appointments, with truly white glove service from first call to delivery. You’ll enjoy the experience of working with Casoro, and our products will bring color and personality to your home along with total peace of mind. 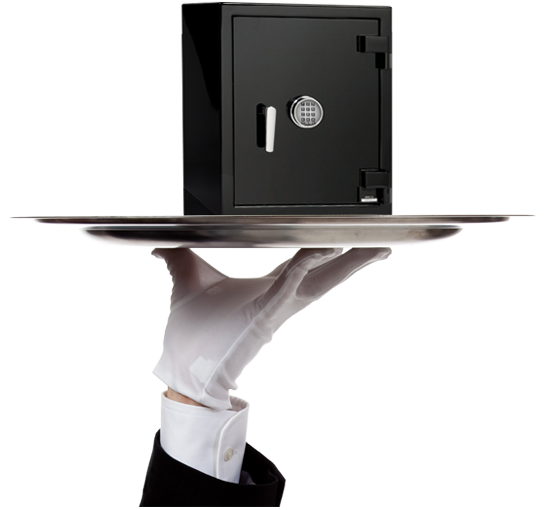 The first priority of Casoro Safes is to provide security you can trust. To that end, we look to nationally and internationally recognized leaders in independent testing to verify the quality of protection our safes provide. Underwriter’s Laboratories (UL) has been “working for a safer world since 1894.” You know them as the company that gives you confidence your light bulbs and electrical cords will work and be safe. UL tested their first safe in 1923 and established the Burglary Test Division in 1925. 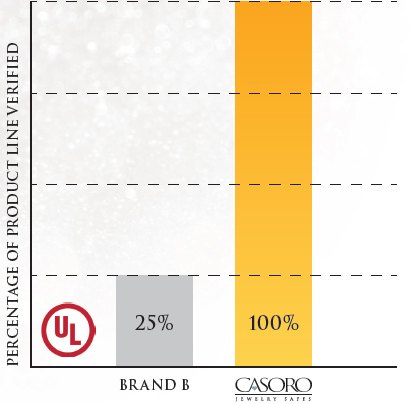 They have tested and independently verified the burglar protection of 100% of our Casoro Safes. RESISTANT SAFES LIVE UP TO OUR CLAIM. Your jewelry safe will be built to fit your needs and desires. That includes the functional elements of size, security, and number of drawers. As well as the aesthetics, to fit your decor and preferences. Most of our customers are looking for a fully luxurious safe as found in our Gemstone, Kairos and USC Collections. 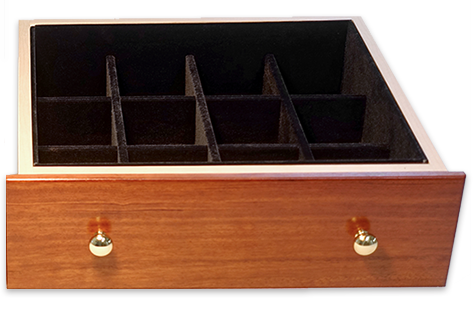 With jaw dropping beauty these safes made with the highest quality paint exteriors, and interiors lined in luscious microsuede surrounding exotic wood cabinetry. You choose the color paint and fabric, and wood species. Then select the accessories that will make the safe more functional and enjoyable for you. Options such as flush mounted LED lighting, necklace racks and watch winders are helpful to some but not all. We look forward to spending time with you to ensure your safe is designed to perfection. For those needing trustworthy security but not the upgraded luxury elements we have the Classic Collection. These safes provide the same quality protection, with a few less upgrades at a lower price point. We know the fine points count, so we do sweat the details. In all our Casoro Safes, we fit each drawer regardless of depth, with a full height liner, which is what you should expect in a product of this quality. The fit and finish of our safes can’t be beat! Because our goal is 100% customer satisfaction, our White Glove approach begins at your first interaction with us and lasts through delivery of your safe to its final destination. We start by asking you “what are you trying to accomplish”, not by telling you what we have to offer. 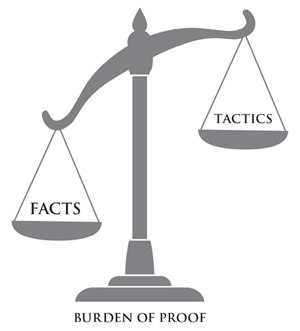 There is a big difference in this approach. And it is the reason why so many of our customers tell us they feel like they have a new friend when the process is completed.